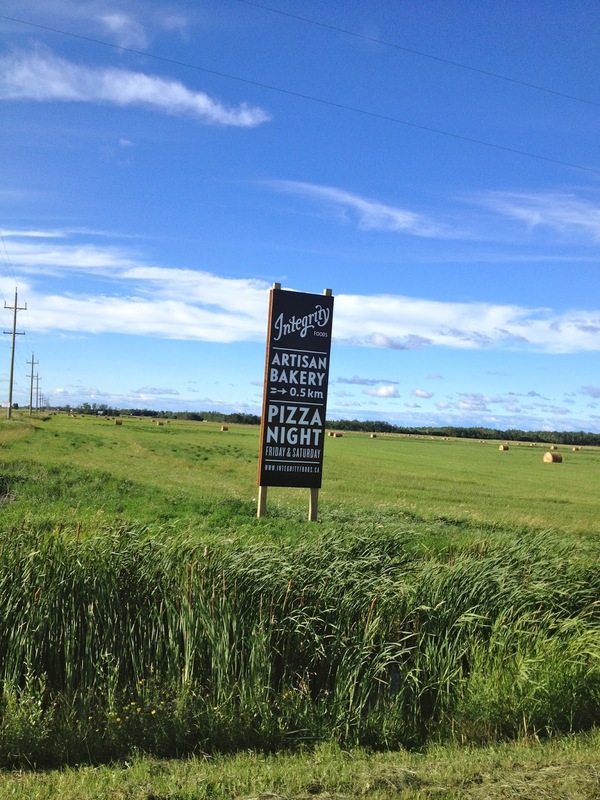 One of our favourite stops on the way to the lake is Integrity Foods along Hwy 8, north of Riverton. I think it's one of Manitoba's best kept secrets! Not only do we love stopping for their wood-fired brick oven pizza nights, and roaming around their farm yard exploring the garden, trails and many animals, but also purchasing their baking. Their Artisan Bakery goods are made from ancient grains with one of their most popular items (according to Cornelius) being Sunflower Bread. 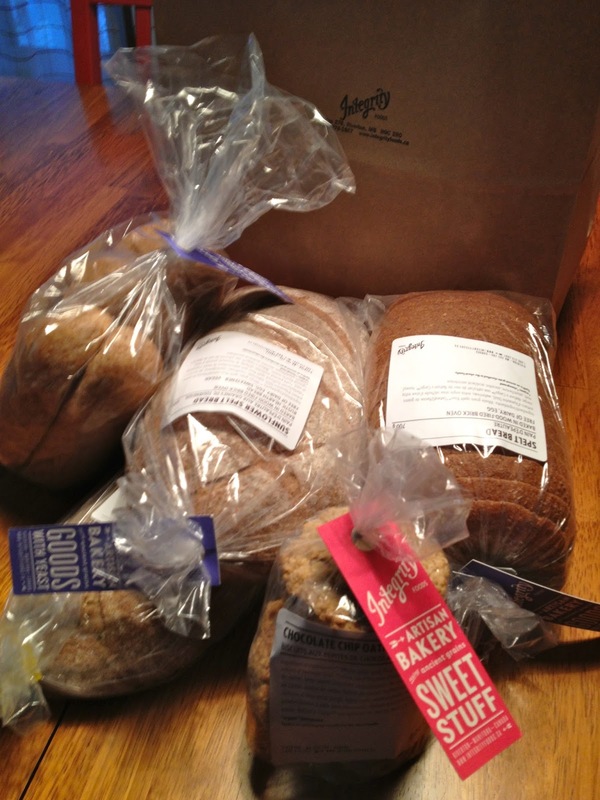 We bought a big bag full for our weekend at the cabin, including Spelt Bread, Multi Grain Hamburger and Hot Dog Buns, Chocolate Chip Cookies, Ancient Grands Bread and, of course, Sunflower Bread. Sooo good!! The Artisan Bakery items are also available in Winnipeg at Vita Health. So next time you're headed up to Hecla or willing to drive from Gimli, watch for the Integrity sign that points to a unique and memorable Manitoba destination! Most of the bakeries and restaurants on highways go unnoticed by a lot of the people but whenever we go on a road trip we always stop at little shops and bakeries, they seem to have the best things!